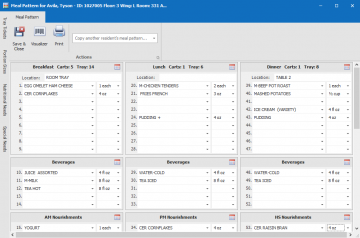 Tray card software system that prints a meal ticket with the resident’s specific items (drinks, food, allergies, adaptive equipment and special requests). Meal ticket list resident’s likes and dislikes for the current day and mealtime. Great for a facility that is looking to replace their outdated manual card system or taking the first step into an electronic system. Generate tallies for Meal, Beverage, Nourishment or Thickener with ease. Meal tickets can be printed in color, in different sizes, and ordered by room, facility order or alphabetical. 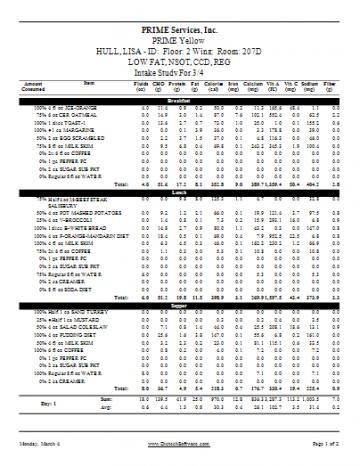 General intake study for fluids/solids/supplements. Professional looking Nutritional Assessments can be completed within the program that includes labs, weights, and medications. Helps decrease charting time. 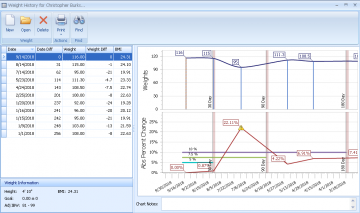 Tube feeding calculations and reports are all at your fingertips. The program works well for nursing homes, assisted living, and long term post acute care. 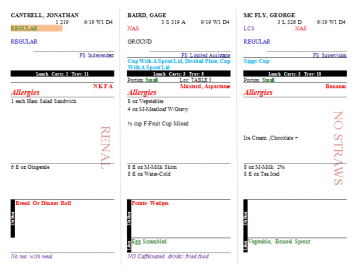 Basic tray ticket which includes; name, room, diet, date, adaptive equipment, allergies, specific food and beverage items, dislikes, likes, and other notes. Optional color printing of sections of the meal ticket. Different ticket size options (3, 4, 6 part). 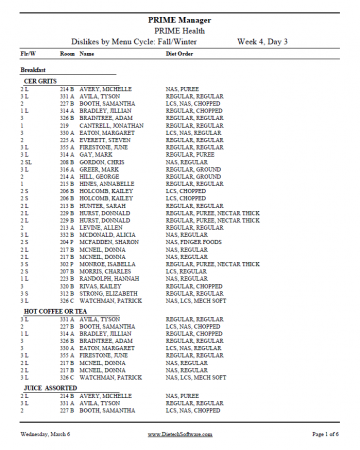 Print order by room, facility preference or alphabetical. Only the dislikes and likes that pertain to that meal will appear on the ticket. Vertical messages such as intake study, no straws, and fluid restrictions can be added to the ticket as visual reminders to staff. One screen to control resident’s nutritional needs. Specific meal, beverage and nourishment items with day rotation. Resident diet, portion sizes, food allergies, adaptive equipment. List location or seating assignments for meals. Provide useful ticket notes and feeding status to nursing staff. Verify tray ticket accuracy and print on demand through the visualizer. 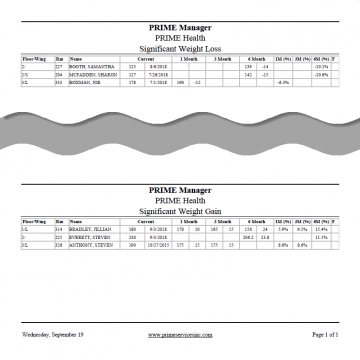 Print meal pattern/cardex for careplan meetings. Control special needs to inform staff of resident specific nutritional recommendations such as NPO, Renal or No Paper Products. Ensures that your residents likes and dislikes for the meal of the day are displayed on the tray ticket. 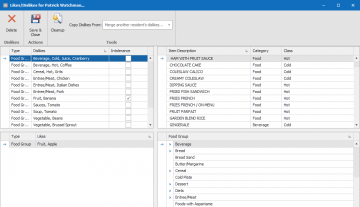 Provides reports based on dislikes of specific items to aid in meal preparation. Helps reduce waste by not over producing. 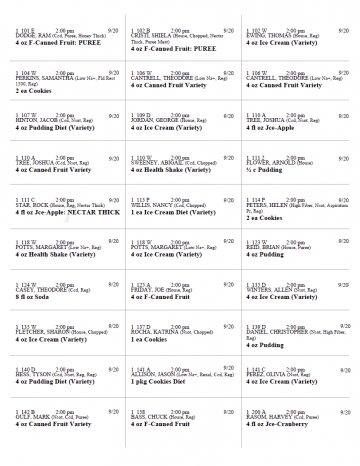 Basic menu with varying lengths of days/weeks. Seasonal menu cycles with the option to have an emergency menu cycle. 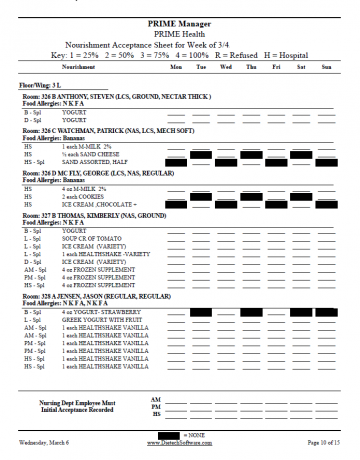 Print a report of dislikes for the current meal to help kitchen staff in food production. 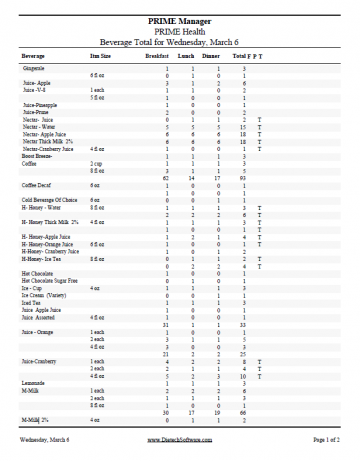 Mealtime reports for beverages and resident specific meal items. Nourishment tallies by facility time that can be broken down by unit. 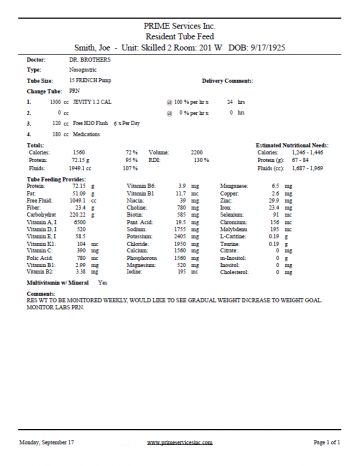 Also available are supplement, thickener, adaptive equipment, allergies, and diet census reports; just to name a few. Resident labels for delivery of tube feed products. Is Dietech Plus right for you location? Contact us now for a demo!